I know every one is so excited with this. 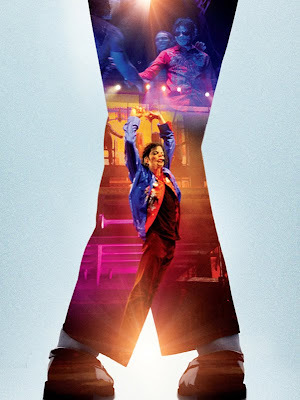 At last you can now avail the tickets of Michael Jackson This is It movie according to Columbia Pictures, the official distributor of the film. Almost all cinemas are already starting to sell tickets of the film. Included to the lists are all SM Cinemas in Metro Manila, Luzon, Visayas and Mindanao; all Ayala Cinemas including Glorietta 4, Greenbelt 3, Greenbelt 1, Trinoma, Market Market, Alabang Town Center, Marquee Pampanga and Ayala Cebu; selected Robinsons Cinemas including Galleria, Manila, Metro East and Forum Pioneer; and Shangri-La Cineplex. Also expect Gateway, Eastwood, Powerplant, Greenhills, Festival and Sta. Lucia malls to also start distributing tickets before Oct. 28 opening. The film will open 12 noon on the said date simultaneously on all mentioned cinemas. The film will be shown only for a limited run of 2 weeks so be sure to get your tickets now.